As we get older, life becomes more complex. We find ourselves in the midst of loss, challenges, heartbreak — inevitable experiences that are not easy to deal with. Today’s guests walks men through these challenging times to reclaim their power and innocence. Think about the last time you found yourself in a challenging situation or transition. It may be right now, or it may have been a while ago. It may have felt like a small dip or a deep chasm. Take a moment to call it to mind. Did you turn to books, articles or experts? Or was this information too theoretical? Did your inner critic make things harder for you or did you manage to “tame” it so you could take your next step? Did you turn to friends, mentors or family or did you turn away from help? It’s clear we can’t avoid challenge, loss and heartache throughout life. But we do get to choose HOW we face these difficulties. And we create more or less suffering for ourselves as a result of the mindsets we hold, the contexts and stories we believe and the ways we choose to isolate or connect. Today’s Man Alive Podcast guest, Eivind Skjellum, is very familiar with challenges and transitions. He guides men through deep, archetypal work to reclaim everything from power to innocence. He is committed to waking up one million men before he dies and works hard to make this happen! I’ve been reading the Narnia series with my son. Just this week we were exploring the depths of the underworld. I was reminded of how facing challenges helps us recognize and build our capabilities. And how it tends to be the darkest time before we find a new place of light. Whether mild discontent or deep dissatisfaction, dark nights have their purpose. 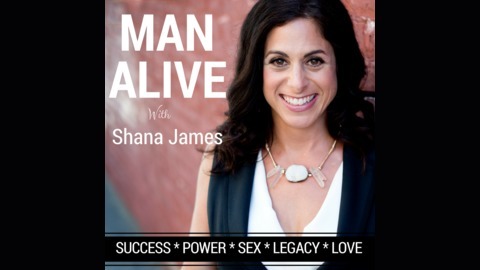 When you descend into the underworld consciously you gain access to power, truth, intimacy, passion…the aliveness we celebrate here at Man Alive! May your journeys bring you more fulfillment than you even knew possible. Eivind Figenschau Skjellum is the founder of Reclaim your Inner Throne, an organization spearheading both a renaissance and an evolution of archetypal men’s work. He is passionate about waking men up from the trance that so many find themselves in, and is always exploring how to reach and serve more men in living lives of service and purpose. His work takes inspiration from the Jungian lineage, especially the late Robert Moore PhD, and his defining work on the King, Warrior, Magician, Lover archetypes. Eivind is currently busy preparing the new Inner Throne Academy, where he and experts in many fields will provide trainings on everything from archetypes to sexuality, addiction, marketing etc. Eivind is committed to waking up one million men before he dies, in service of the overarching Reclaim your Inner Throne vision of “A World where People thrive”. 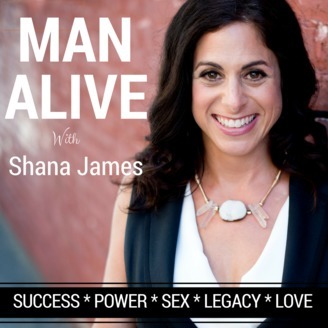 The post #95: Strength, Freedom and the Hero’s Journey – Eivind Skjellum appeared first on Shana James Coaching.